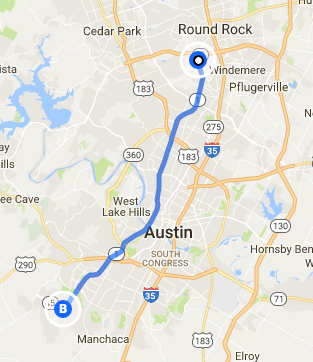 Known officially as Loop 1, MoPac is considered a loop by state road standards, but it's not a loop at all. Jodi McLaughlin one of those drivers. 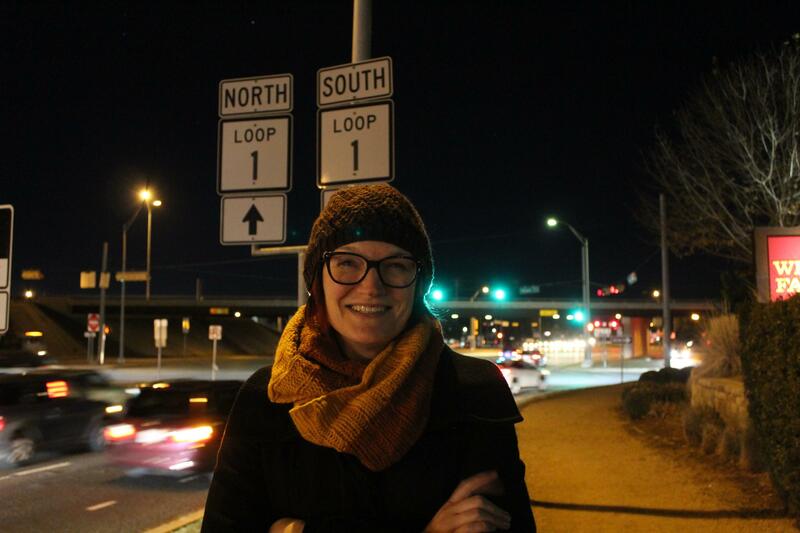 Like many in Austin, she says her life kind of revolves around the freeway. "We travel MoPac almost every day because of where we live in Austin," she says, "and we have to drive to see family and friends and also to go to work and almost everything else." What is the history of the development of MoPac-Loop 1? And will it ever really be a loop? MoPac is an oddity because – unlike most highways – it grew from the middle out. And to get to where MoPac is going, you kind of have to know a little about where it’s been. People have traveled up and down the MoPac corridor since the turn of the last century when the Missouri-Kansas-Texas rail line – also known as the MKT line –punched through Austin and into South Texas. Its parent company, the Missouri Pacific Railroad, controlled much of the passenger and freight rail through Texas. 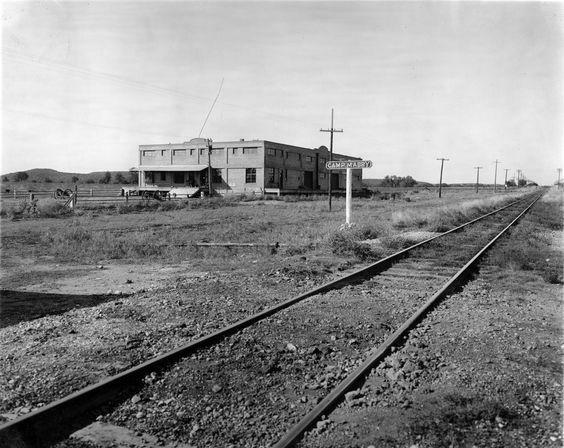 MoPac before Loop 1's construction in 1915. It’s the railroad that gave the freeway its name – at least the name most of us call it. Missouri Pacific merged with Union Pacific decades ago, but its nickname, “MoPac,” stuck around. Its path carved a perfect line through some of Austin’s nicest neighborhoods. Chris Bishop with the Texas Department of Transportation (TxDOT) says MoPac would have been much more difficult to build if the rail line hadn’t been there. “The right-of-way available on MoPac belonged to the railroad, and the railroad was happy to share a little bit, so it was a huge amount of property,” Bishop says. The idea for a highway along the MoPac tracks first pops up in Austin in the early 1940s. It wasn’t until 1961 when city officials put designs on paper. Austinites were just getting used to the north-south interstate on the other side of town. West-siders, sick of having to tarry up and down Lamar Boulevard, wanted one of those fancy highways for themselves. But there was a catch: It had to stay within the footprint of the railroad north of what was then Town Lake. Finally, in 1969, workers broke ground, staying basically within the boundary offered by the train line. Six years later, a quirky little freeway was born. When engineers designed the original MoPac in the 1960s, their goal was to get commuters from on the West Side of Austin to and from downtown. 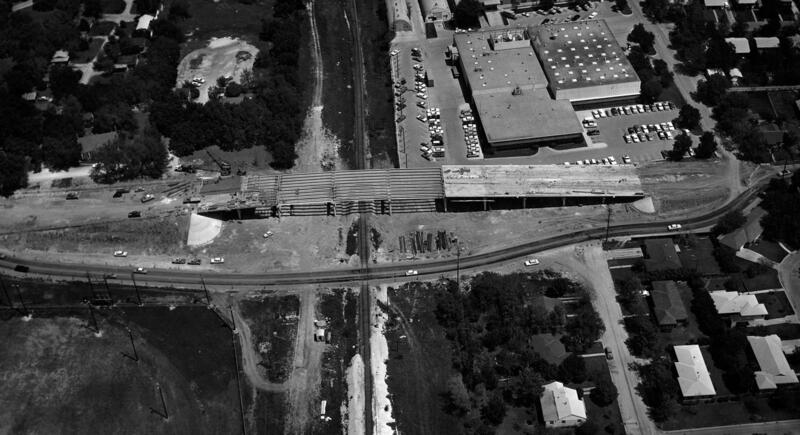 An undated photo of MoPac's construction at 35th Street. The result is an engineering feat or a nightmare, depending on your perspective. A spaghetti bowl of highway lanes, entrance and exit ramps, sidewalks, local traffic overpasses, hike and bike trails and footbridges. Throw in a creek and a lake to boot. It was then that the city realized it must go further. Keeton served on the Austin City Council when MoPac opened in 1975. The highway’s extension to Loop 360 was completed during her second term as mayor, and the push north began – a tough sell for some of Austin’s most entrenched neighborhoods. “Years later, of course, those who were most vigorously saying ‘not in my backyard’ wanted access to that extended MoPac,” Keeton says. "It’s going to be ready at some point, and it’s going to be a lot better." MoPac began to expand south in the '80s. That move was met with resistance from environmentalists, as it encroached on Barton Creek and over the Edwards Aquifer recharge zone. Even today, plans to construct freeway underpasses at Slaughter Lane have been met with lawsuits aimed at delaying construction for environmental impact studies. So, we’re starting to see MoPac’s limitations. You can’t expand too much north through the middle of town because of space. Expansion south stokes environmental and water quality concerns, which means MoPac, distance-wise, may have reached the end of the line. 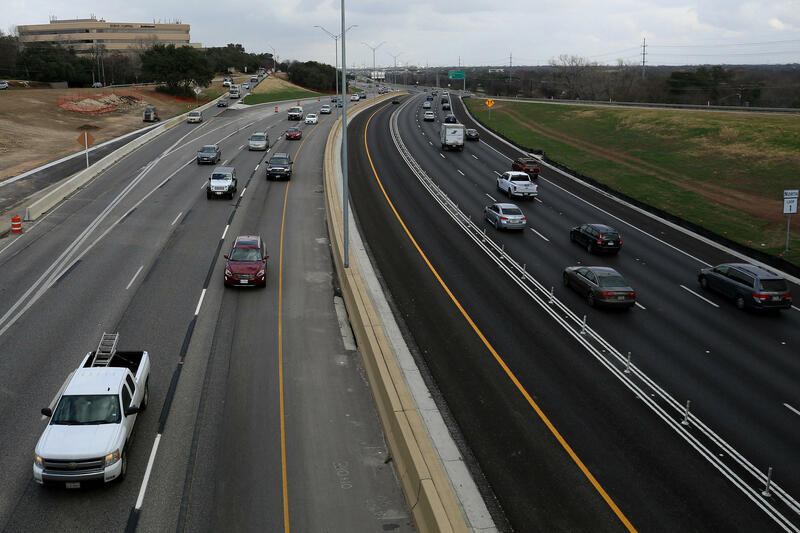 More recent efforts to improve MoPac by the Central Texas Regional Mobility Authority work within the existing roadway. They include adding a toll lane in each direction. Austin State Sen. Kirk Watson has taken an interest in transportation around Austin since his days as mayor. Watson helped lead the charge for denser development. “I’m very proud of the work I did as mayor to change downtown," Watson says. He also promoted the city’s tech community as a job creator. That growth engine here continues to hum along nearly 20 years later, bringing thousands of new folks to town every year and forcing many of them onto MoPac. So does he ever drive down MoPac and wonder, "What have I done?" There is one thing that tends to be confusing to some. MoPac’s name. There are few signs that designate MoPac as “MoPac.” All of the TxDOT signs call it by its official name: Loop 1. A quick glance at a map, you realize that Loop 1 is anything but a loop. Which leads us to the second question Jodi McLaughlin asked: Will it ever really be a loop? When one hears the word “loop,” it’s probably natural to assume that it is a circle. Finally, some clarity from the old State Highway Department. Loops are not loops. They just connect two state highways! Loop 1 connects State Highway 45 with State Highway 45. I tell McLaughlin loops in Texas are not loops in the traditional sense. Actually, the loops in Houston aren’t state loops. One is designated as a beltway, which is technically not a loop. “Well, if we’re going to talk about proper circles and things like that, I think we’re getting just a little technical, right?” she says. The "loop" of Loop 1. That is the actual difference in highway parlance of a loop, a highway that connects one highway to another. McLaughlin's right. There are some loops around Texas that actually loop. There are a few interstates that form contiguous loops. There are only three "complete" looping state highways – none of which are here in Austin. Ours go basically in a line – Loop 1 and Loop 360 are the most the most famous. So, if Loop 1 will not form an actual loop, maybe we can do something about the term loop? Maybe Watson could help. Because of where it was built and where it would need to go, MoPac, or Loop 1, will not likely form a complete loop any time soon. No look at MoPac would be complete without talking to the person who created its parody Twitter account @EvilMopacATX. However, no self-respecting parody account owner would give a public radio reporter his or her real identity. We tried. It didn't happen. Who Will Clean Up the Eventual Graffiti on MoPac's Sound Barriers? The new sound walls along MoPac are designed to reduce traffic noise from the highway going into surrounding neighborhoods, but some wonder if the new construction could become a target for vandals. Austin's traffic problems are pretty much woven into the fiber of this city at this point. We've got the most congested roadway in the state in I-35, which causes plenty of traffic-related frustrations for many a commuter, but we've also got 10 other roadways on the list of the top 100 most congested roadways.